After six consecutive months of record output, Mexico now makes more than one out of every five cars built in North America, new numbers from automotive organization Ward’s shows. Mexico built 1,926,930 cars in the first half of 2017, almost 16 per cent more than the country cranked out in the first six months of last year. That compares with 1,208,911 Canadian-built vehicles over the same period, a figure which dipped by 2.4 per cent from last year’s level. The boom means Mexico now makes more cars than the U.S. does, as America built 1,697,551 cars in the first half of 2017. Compared to last year, that figure is down by 17 per cent — about what Mexico’s output has expanded by. Mexico may now be making more cars than America does, but when larger vehicles such as trucks, vans and SUVs are included, America still leads the region in vehicle production, with 5,812,310 through June — although that figure is down almost five per cent in the past year. Profit margins on those vehicles tend to be higher, which is why North American automakers build them closer to home, while outsourcing smaller vehicles that aren’t selling as well as they used to. 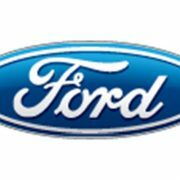 Last month, Ford announced plans to produce all of its Focuses at a new plant in China, the first time the company will build cars in that country that are destined for sale in North America. Previously, the plan was to build the Focus in Mexico, before changing that plan after pressure from the White House. And General Motors in January announced it would be cutting 625 jobs at one of its Ontario facilities and moving production to Mexico instead. U.S. President Donald Trump has vowed to energize American manufacturing in his presidency, and the subject of auto jobs is likely to come up in NAFTA discussions between the three nations slated to start later this summer. While Trump has rallied support for the Made In America movement, the reality of the North American automotive supply chain makes that basically impossible to achieve, since companies build and assemble hundreds of different components in various countries along the way toward building a single vehicle. Roughly 40 per cent of the components in a vehicle considered to be made in Mexico in fact come from the U.S., the non-partisan think tank the Center for Automotive Research (CAR) said in a report earlier this year. In Canada, the ratio is about 25 per cent. A hard-line approach requiring that all cars sold in America be fully made and assembled in America would cost the U.S. about 30,000 jobs, and add thousands of dollars to the price of a vehicle, CAR said. The “Made in Mexico” label has become more plentiful on American car lots this year, even as auto makers pressured by President Donald Trump kicked off the year with promises to create more jobs in the U.S.
A move by auto makers to produce some popular sport-utility models in Mexican factories helped spur a 16% increase in production of light vehicles in Mexico during the first six months of the year compared with the same period in 2016. At the same time, tepid sales of sedans held down production in the U.S. and Canada, according to new data posted by WardsAuto.com. The data indicates one in five cars built in the North American Free Trade Agreement zone comes from Mexico, including hot new products from General Motors Co. and Fiat Chrysler Automobiles NV. 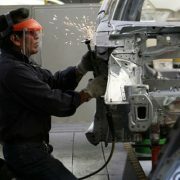 That is up from the industry’s reliance on Mexico during the financial crisis, when the U.S. car business received billions of dollars in bailouts aimed at preserving jobs and keeping domestic players afloat. Mr. Trump launched several attacks on Mexican car imports throughout his campaign and after his election, saying more auto-factory jobs should remain in the U.S. Since then, auto makers have committed to several initiatives, including a move by Ford Motor Co. to scrap a new assembly plant being built in Mexico and invest some of the money saved in a Michigan factory that will add jobs. GM and Fiat Chrysler have said they intend to invest billions of dollars to add jobs in factories in coming years, citing favorable policies related to tax reform and other issues as reason for optimism. The Trump administration in August will kick off new talks with Canada and Mexico on an overhaul to Nafta. The vehicle-manufacturing business — including a sprawling supply base — is a central negotiation point. The latest data from WardsAuto shows that U.S. light-vehicle manufacturing fell 5% during the first six months of this year from a year earlier, as auto makers shed workers or scheduled significant downtime to counter a slowdown in demand for sedans. A substantial chunk of America’s automotive manufacturing footprint is devoted to production of family cars or compact cars, which aren’t faring well as gasoline prices remain low and sport-utility vehicles grow in popularity. Separate U.S. trade data shows that the value of light-vehicle imports from Mexico to the U.S. ballooned 40% through May. United Auto Workers President Dennis Williams told reporters last week that the union is planning to launch a “Made in America” campaign later this year, an effort to support hundreds of thousands of members building vehicles or parts in U.S. factories. Mr. Williams is looking to follow the Trump administration’s focus on American-made products and will use the effort to educate consumers on how to know if a car is built in America. Finding those cars is getting harder. Pickups such as some versions of FCA’s Ram and Chevrolet Silverado, two of the best-selling vehicles in America, are built in Mexico. 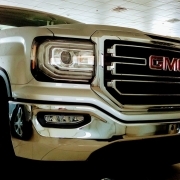 GM and Chrysler this year also started producing small crossover SUVs in Mexican plants; these are considered important vehicles for U.S. dealerships because of their growing popularity as consumers shift away from passenger cars. GM shifted some production of a revamped version of its popular Chevrolet Equinox crossover SUV to Mexico from plants in U.S. and Canada. Over the next few years, the largest U.S. auto maker is expected to add other new models to factories south of the border. Most of Fiat Chrysler’s increase comes from a decision to shift North American manufacturing of the Jeep Compass from the U.S. to Mexico. An all-new version of that small SUV is being built at FCA’s plant in Toluca, Mexico, which has seen year-to-date production increase 177%, according to WardsAuto. Meanwhile output at FCA’s factory in Belvidere, Illinois is down nearly 93% year to date, as production of the older Compass model has ended and two new models of the Jeep Patriot and Dodge Dart were canceled. That plant has been retooled for production of a new Jeep Cherokee midsize SUV, which just began in June after being shifted from a Toledo facility.